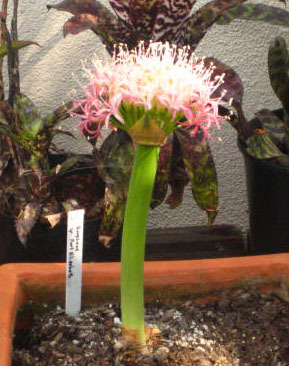 Boophone is a genus of 2 species many many forms from Africa in the Amaryllidaceae family. 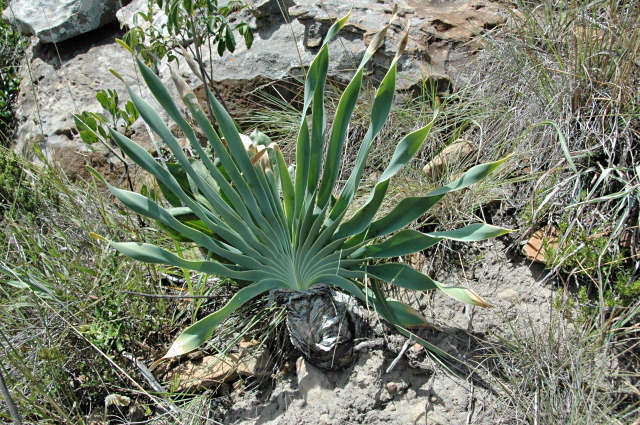 The plant consists of a conspicuous fan of wavy-edged grey-green leaves and a large scaly bulb above ground. 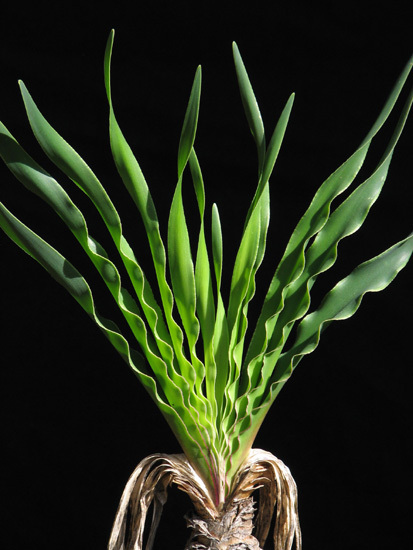 Some of the largest bulbs found in the wild are well over a hundred years old, so the ones in a collection could become family heirlooms. 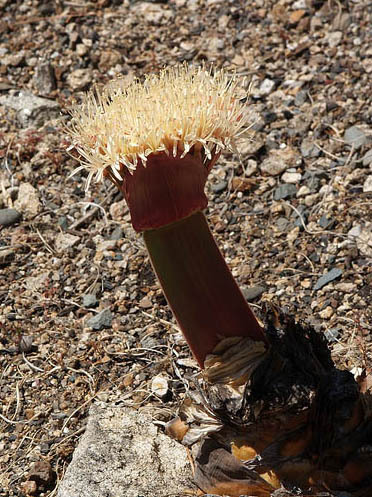 There are several forms of spelling for this genus, but most taxonomists now agree that Boophone is correct, derived from bous = ox, phonos = slaughter (the bulb sap is extremely poisonous). 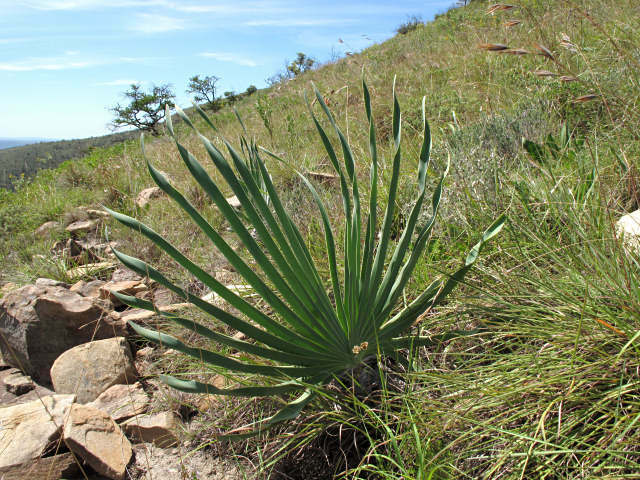 Several common names exist such as Oxbane, Century Bulb, Sore-Eye Flower (pollen is irritating), Gifbol (=Poison Bulb), Tumbleweed, Perdespook (Horse Ghost - the infrutescence rolls across the veld which frightens horses), and a host of names in some of the other indigenous languages, many of which refer to the medicinal and other uses of the bulb. 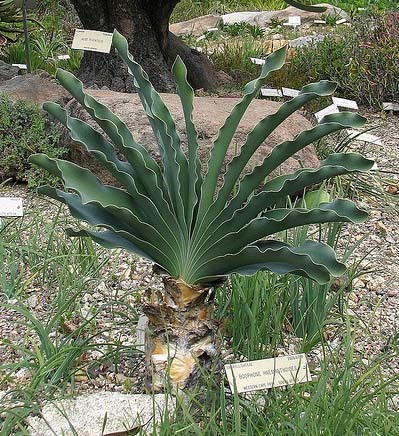 Cultivation of Boophone species should not be difficult as long as the different climates of each species is known. 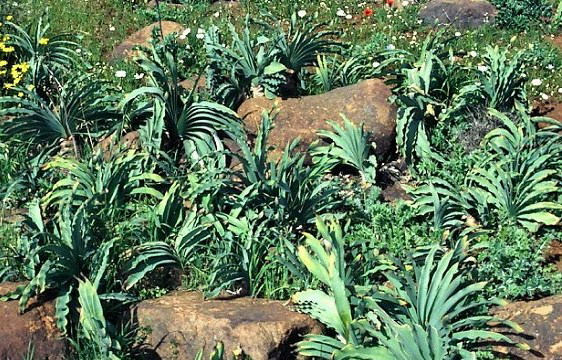 All species and forms need a very well drained mix. 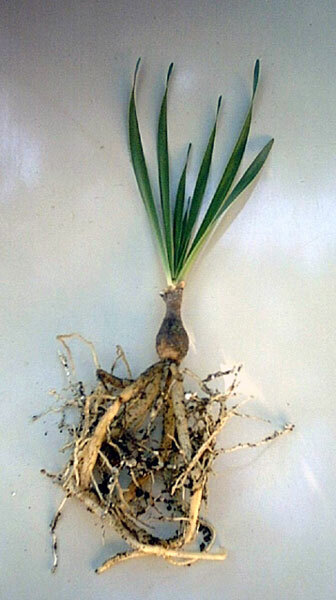 Some bone meal would be beneficial seeing that these species need to remain in (deep) containers for a long time. 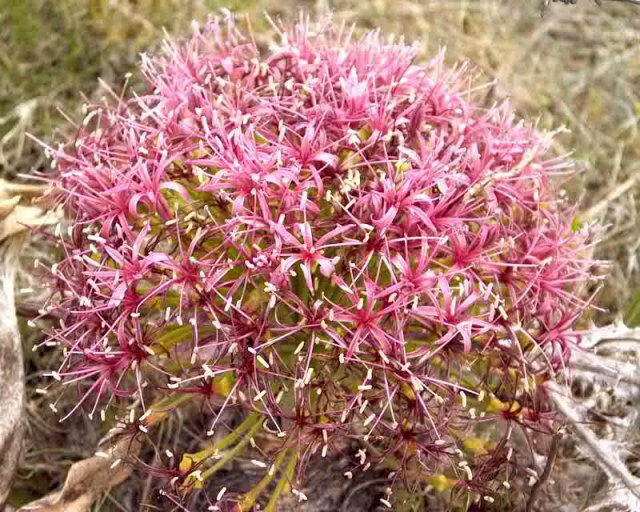 The plants are always eye-catching, even as a dry bulb sitting on the ground. 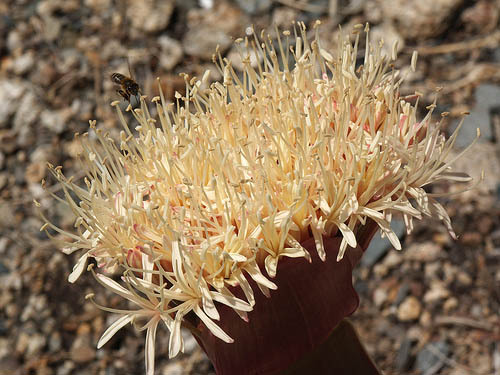 The flowers quickly fade after pollination, and the pedicels elongate to form a large decorative seed head with fleshy seeds in the three-sided seed capsules. 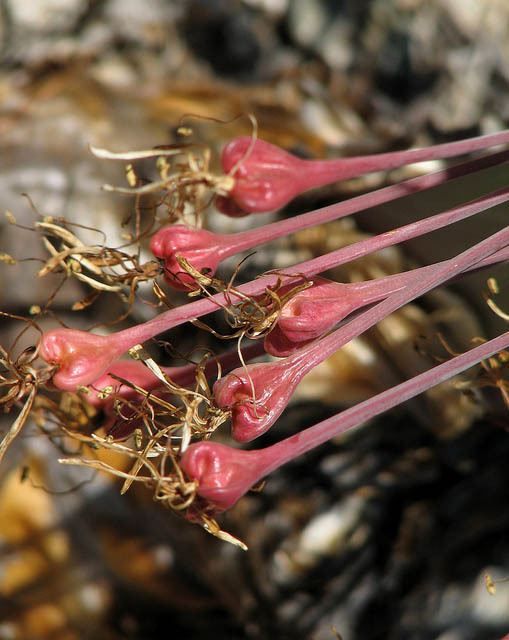 When the seeds are mature, the infrutescence is dry and stiff, breaking off from the stout peduncle and rolling away in the wind or down the slopes, shedding seeds along the way (Rhoda McMaster). 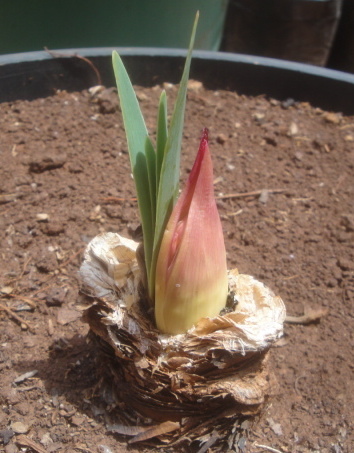 Refer to the How to grow bulbs from seeds page for seed sowing information. Two species that were once considered to be in Boophone, Boophone flava and Boophone guttata were moved to a new genus, Crossyne. 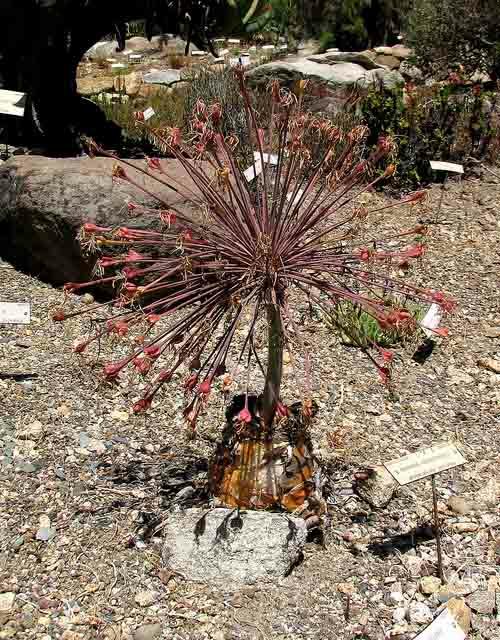 Boophone disticha is found both in the summer rainfall regions, from around Port Elizabeth on the south coast, northwards to East Africa and in areas that also have winter rainfall. In the former winters are dry, but the occasional light shower may occur in winter. 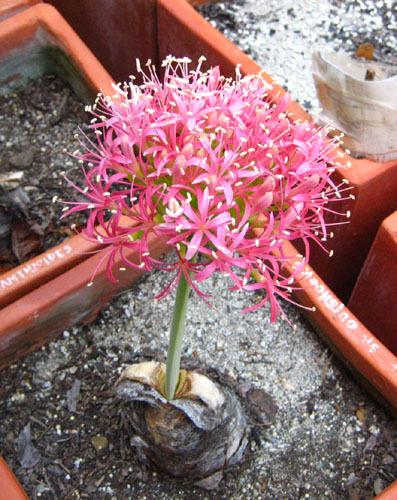 The mature bulbs can get to about 17 cm (6-7 in.) 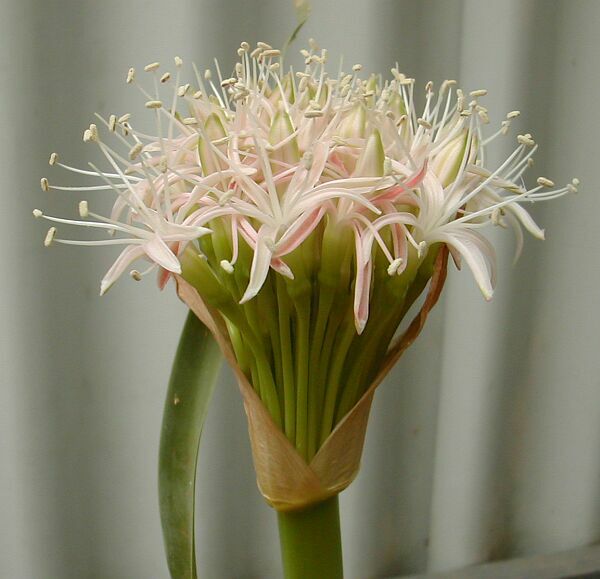 in diameter, producing flowers in spring, and leaves about 45 cm (18 in) long and 5 cm (2 in) wide, in spring and summer. 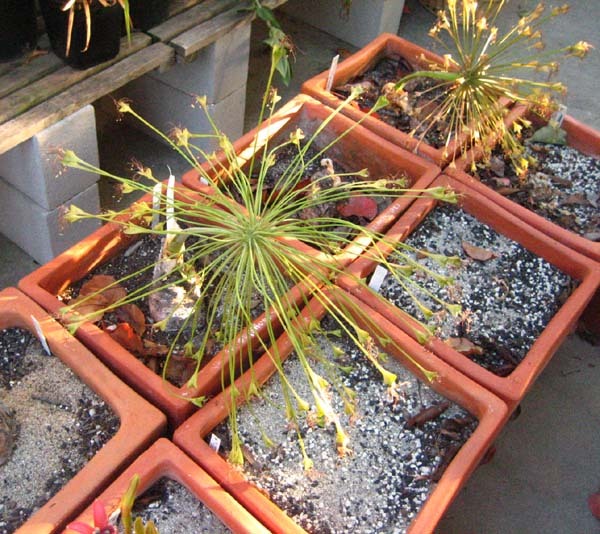 Plants from these regions are dormant in winter whereas plants from the other regions grow differently. 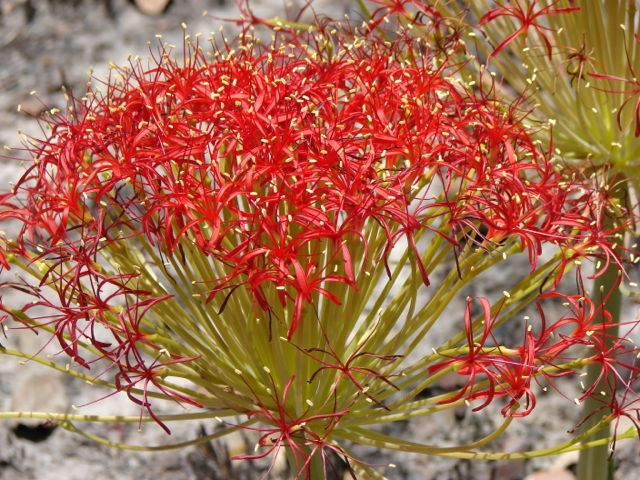 Blooms in the wild are from September to March. 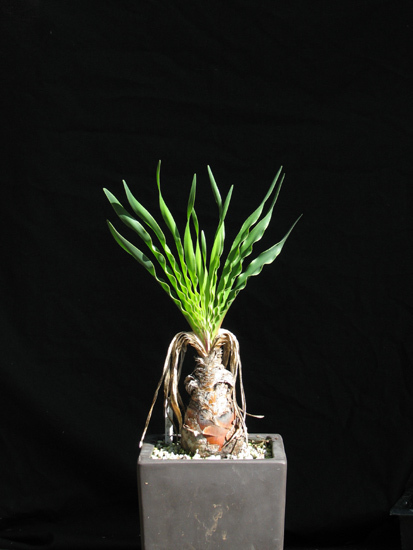 The first two pictures show one grown and photographed by Dirk Wallace. 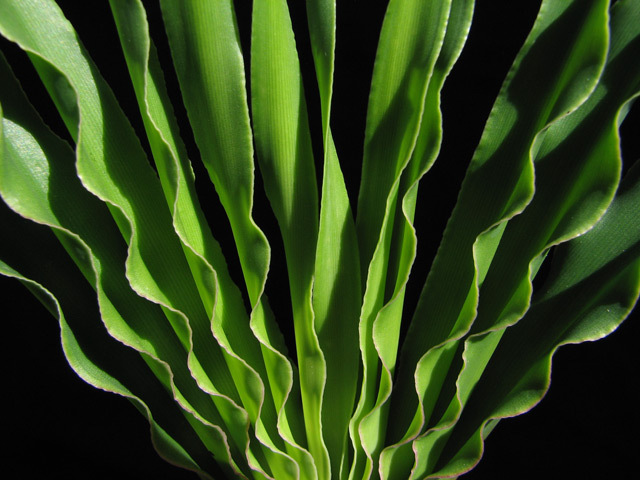 The 4th picture of leaf detail was taken by Arnold Trachtenberg. Photographs taken by Nicholas Wightman in Lilayi, Zambia. 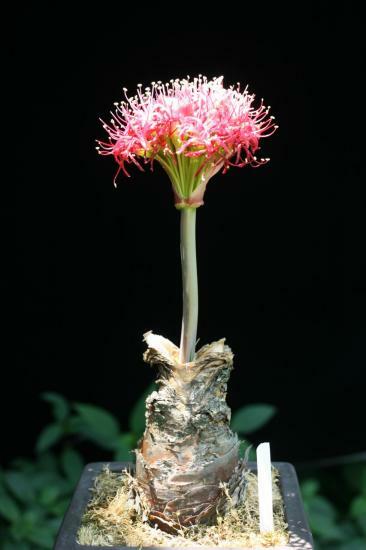 Seedlings have a strong fleshy root system, as shown in the first photo by Angelo Porcelli. 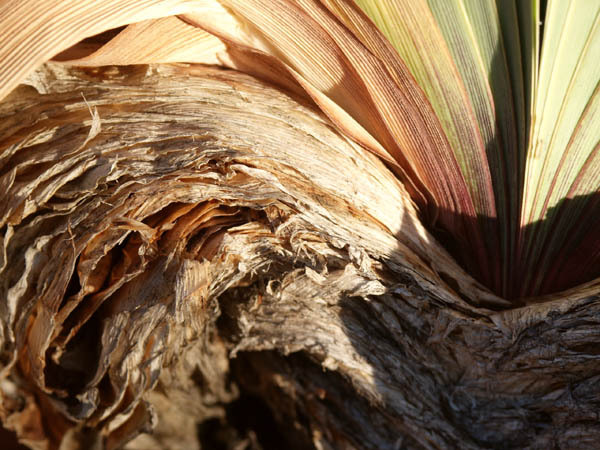 The second and third photos by Jacob Uluwehi Knecht show the detail of senescence of summer's leaves during early winter, along side the leaf bases of many years past and a very large and old bulb during annual senescence. 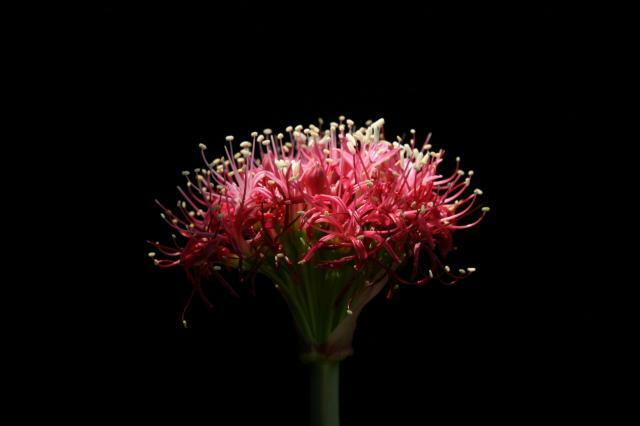 The last photo was taken in the bulb room at Kirstenbosch National Botanical Garden by Bob Rutemoeller. 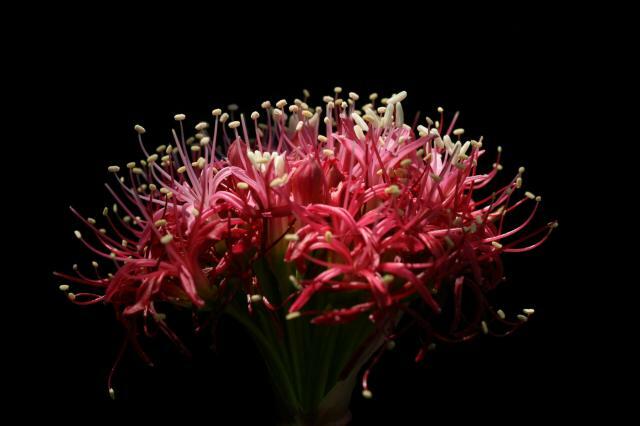 Photos of flowers taken by Alan Horstmann and Cameron McMaster. 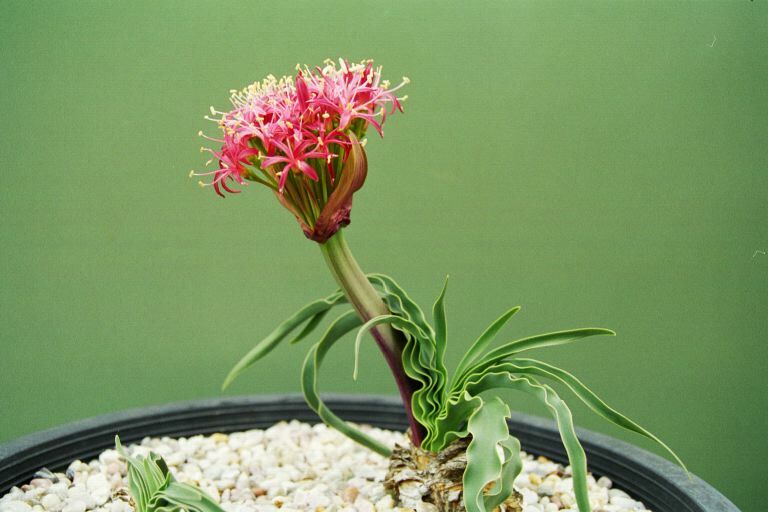 Photo #2 was taken on January 30, 2006 of a flowering specimen from Napier. 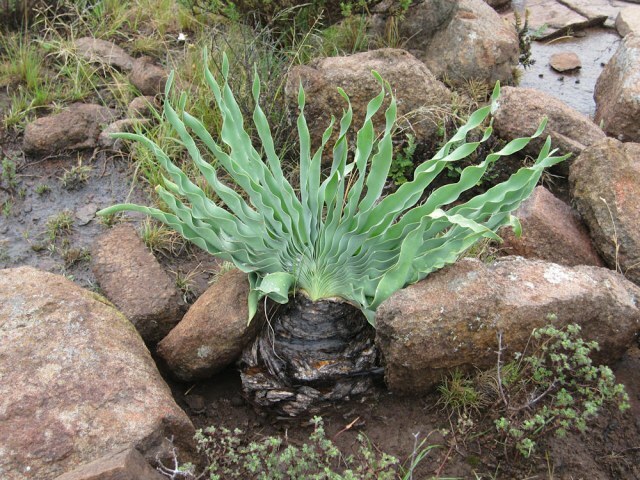 The last two photos were taken in the Eastern Cape. Photos below were taken in habitat. The first three were taken by Cameron McMaster. Photo #1 was taken in Andriesberg. 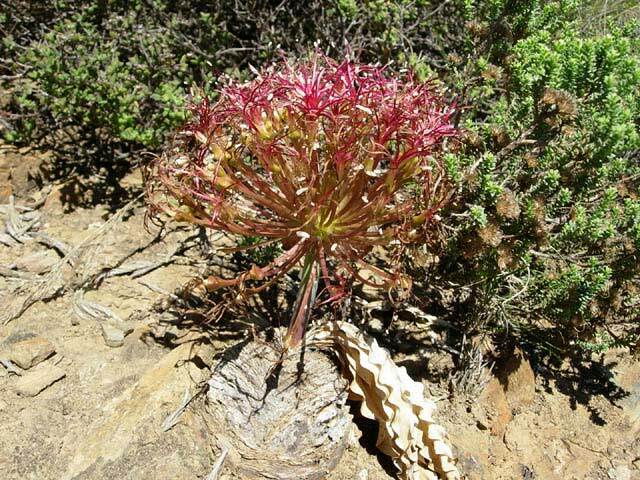 Photo #2 was taken on April 14, 2006 of a specimen with extremely undulate leaf margins from the Sparrekloof/Bredasdorp area. Photo #3 was taken at Moonstone January 2010. Photos 4-5 were also taken in the same place and at the same time by Bob Rutemoeller. The last photo was taken by Alan Horstmann. 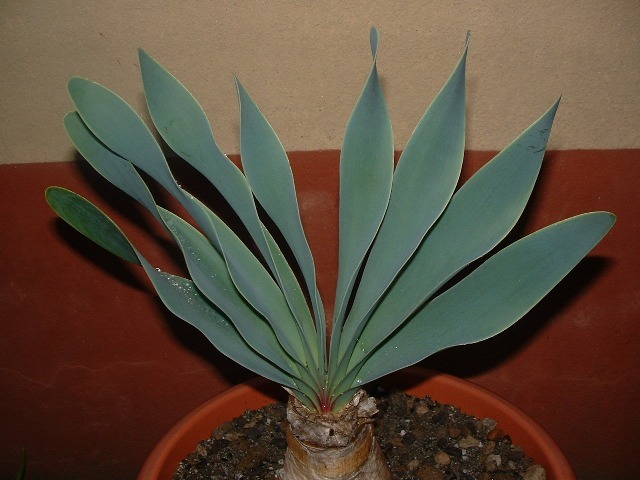 Boophone ernestii-ruschii (syn. 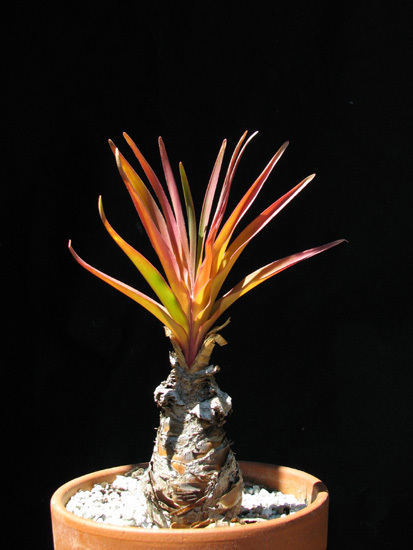 Boophone disticha var. ernesti-ruschii) is now included in Boophone haemanthoides (see below). 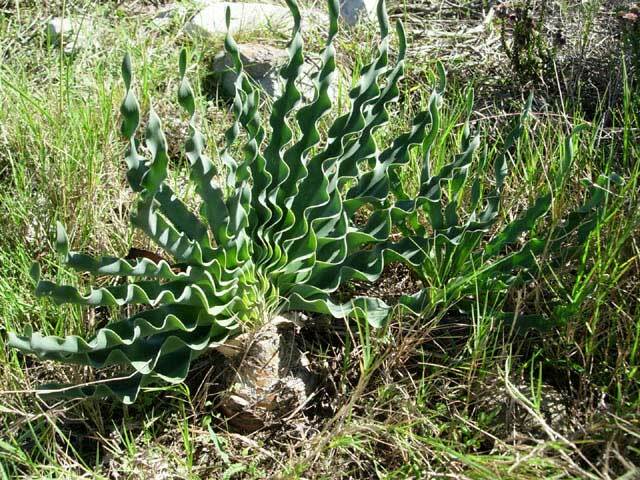 Boophone haemanthoides is found mainly in the west coastal areas of the Western Cape of South Africa, but extends to the Bokkeveld Plateau. These are areas with winter rainfall. 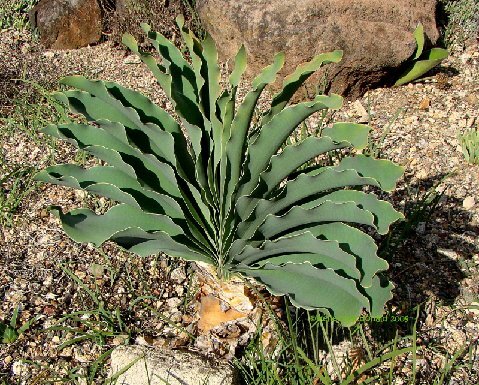 It grows in sand or dolerite outcrops on coastal flats or upland slopes. Summers are hot and dry. 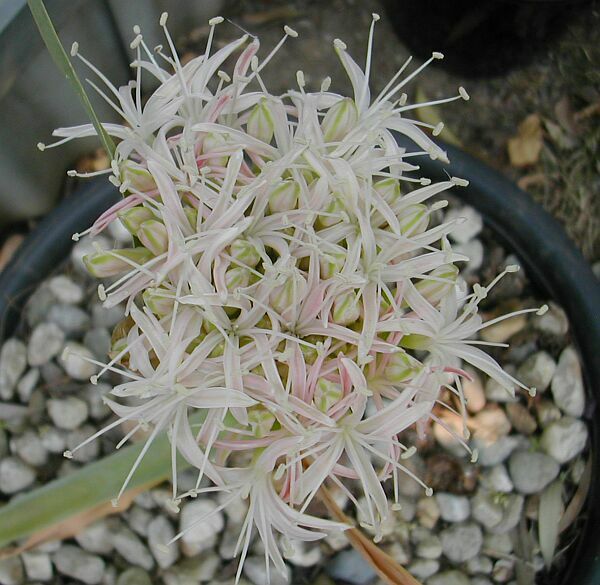 The bulbs are really large and produce flowers in midsummer with leaves in autumn. 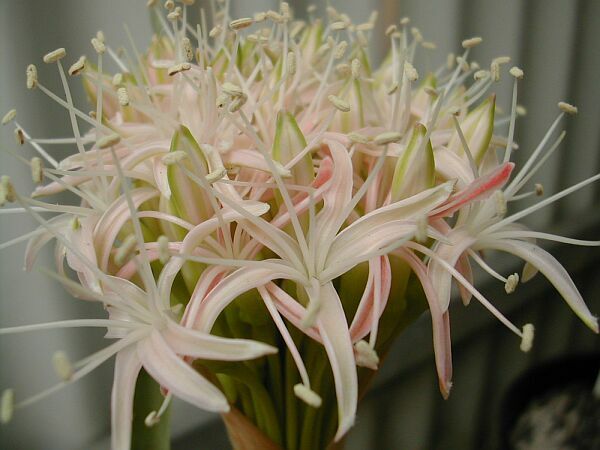 This species has varied colors in the flowers, mostly pink to a creamy white. 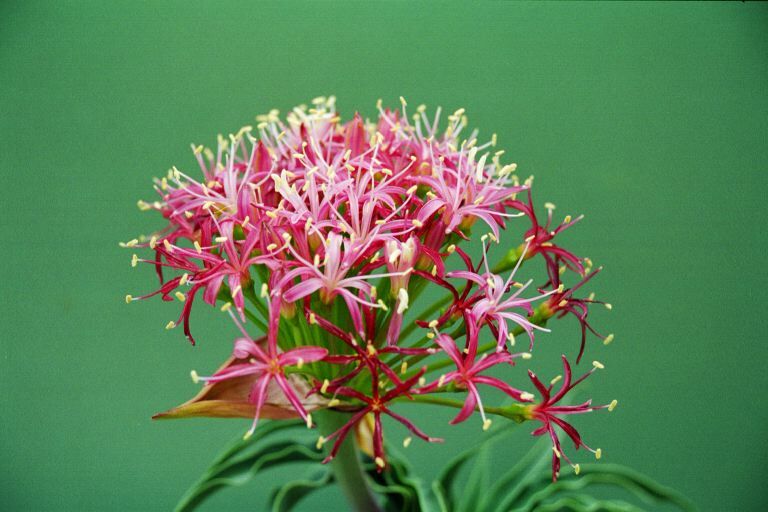 From seed, this species took 14 years to mature for Diana Chapman. 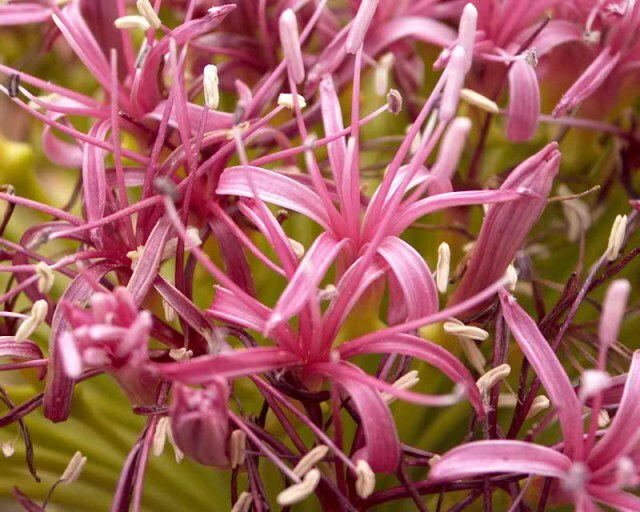 The form grown by Rob Hamilton has striking large red bracts from which creamy-pink flowers emerge. 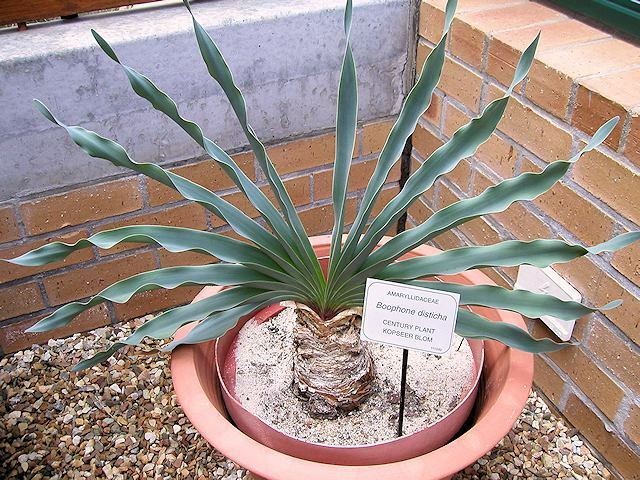 The plant pictured in the first two photos was grown and photographed by Rob Hamilton. 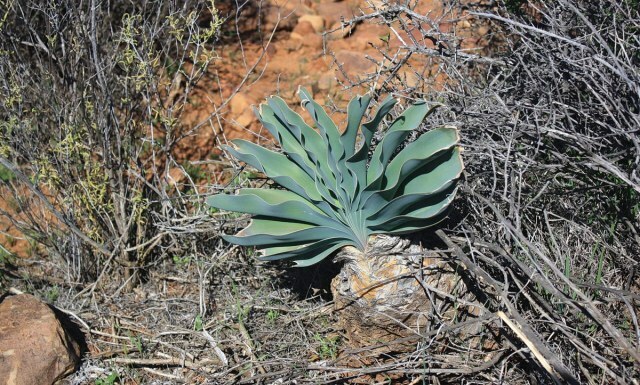 The third photo is of a large patch of leaves near Nieuwoudtville taken August 2001 by Mary Sue Ittner. 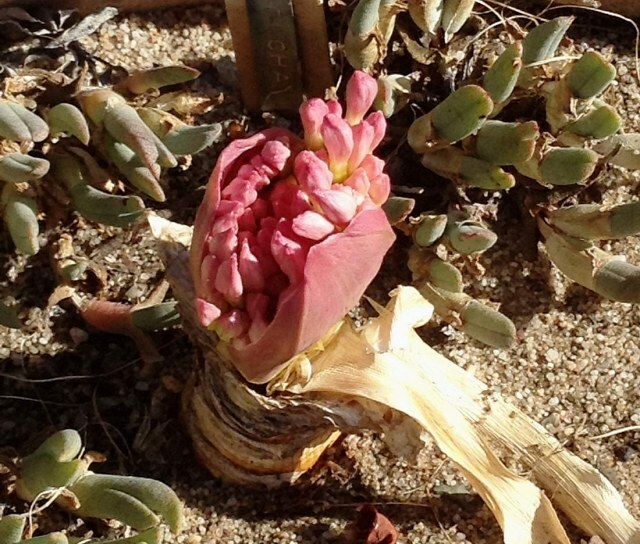 The last two photos were taken by Cameron McMaster near Nieuwoudtville and Middelpos September 2011. 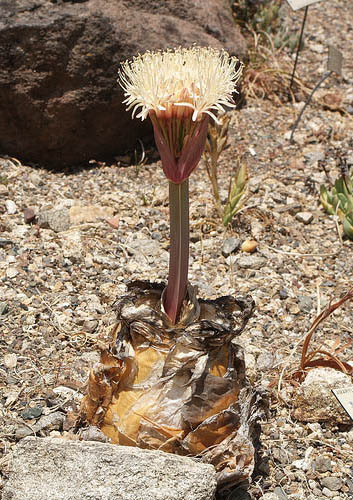 The first three photos shown below from Jacob Uluwehi Knecht are of the beginning stages of a cream-coloured form of a specimen bulb in UC Botanical Garden collection blooming for the first time in August 2010. 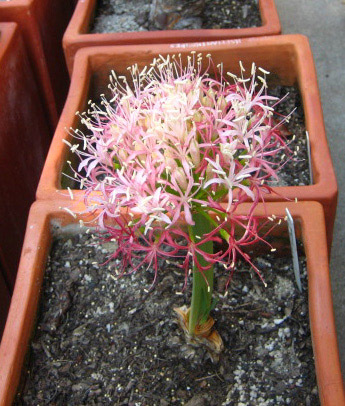 It was planted out in 2006 from the UC Irvine bulb collection but took four years to re-establish itself in order to bloom. 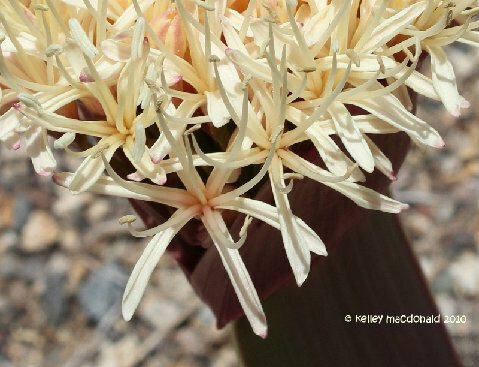 The fourth and fifth photos from Kelley Macdonald are pictures of the same flowering. 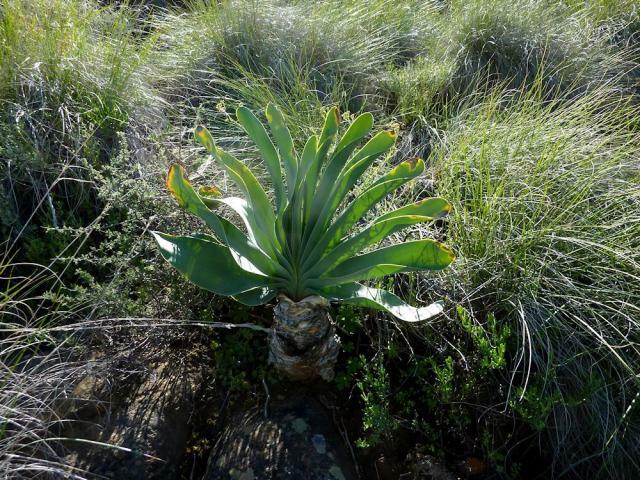 Pictures by Jacob Uluwehi Knecht show the nearly ripe infructescence one month after anthesis. 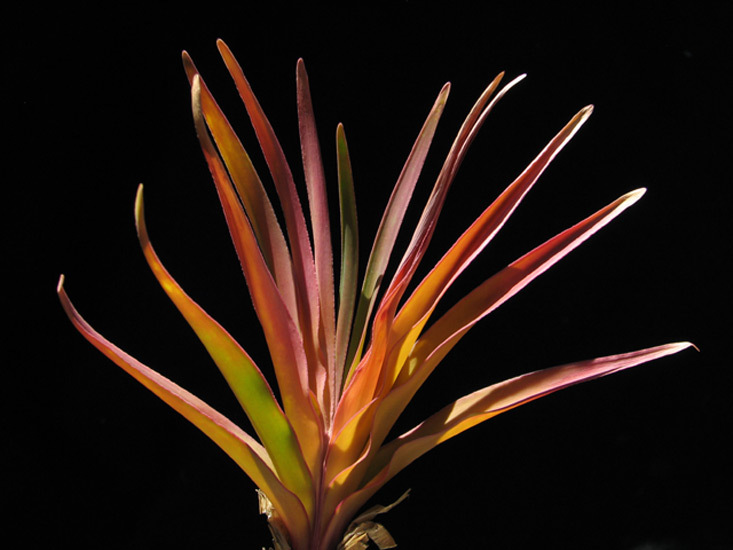 The leaves of the same specimen is shown in the first two pictures by Nhu Nguyen and in the last by Kelley Macdonald. 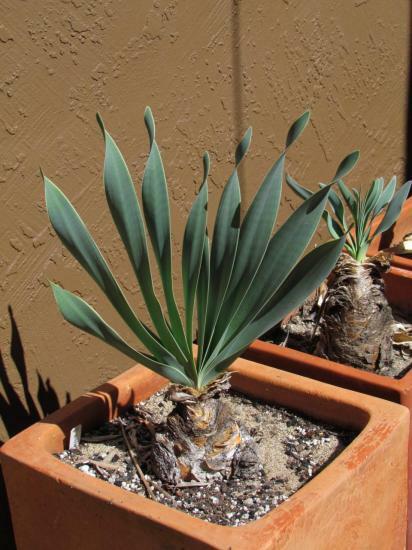 The first two pictures show a form from Port Elizabeth that reliably emerges and goes dormant a few weeks ahead of all my other winter growing Boophone. 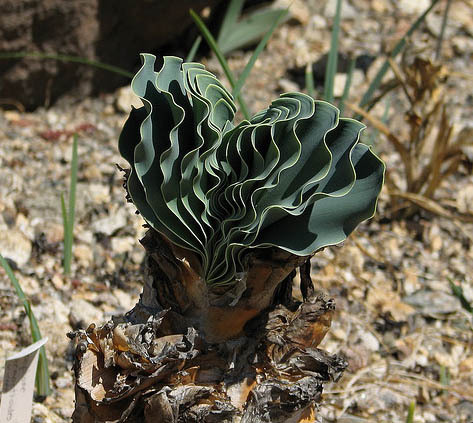 The leaves are light green, with undulate margins only at the tips of the leaves which are skinnier in width than any other Boophone haemanthoides I've seen. 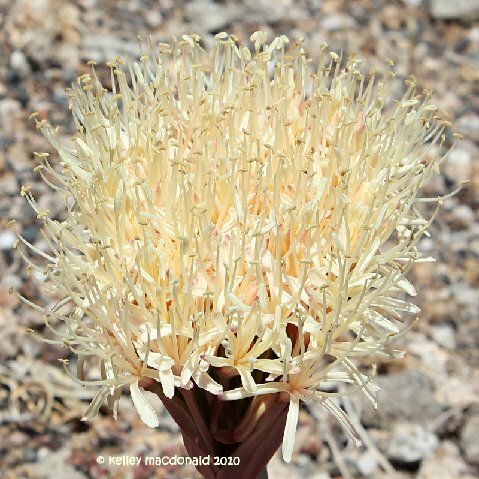 The third is a form from Oudtshoorn that has lovely coloured flowers, a very pleasant scent and glaucous leaves with undulate margins. 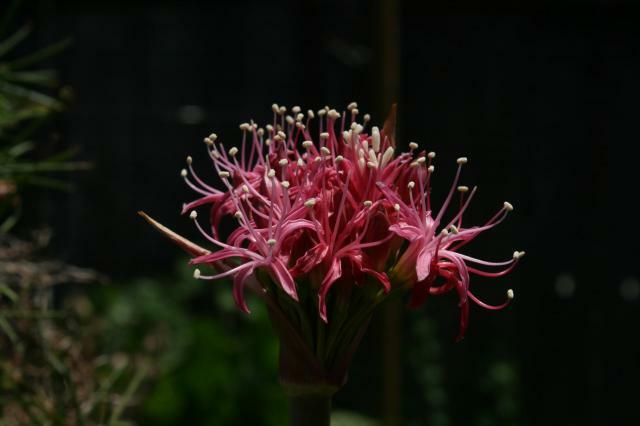 Finally as the inflorescences morph into infructescences they at least double in size. The effect is quite dramatic and beautiful. Photos by Jacob Uluwehi Knecht. 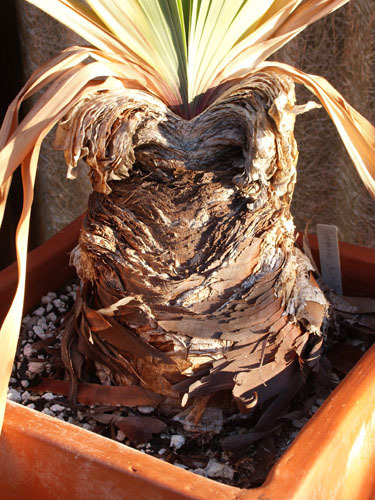 Boophone ernestii-ruschii is now considered a form of B. haemanthoides. 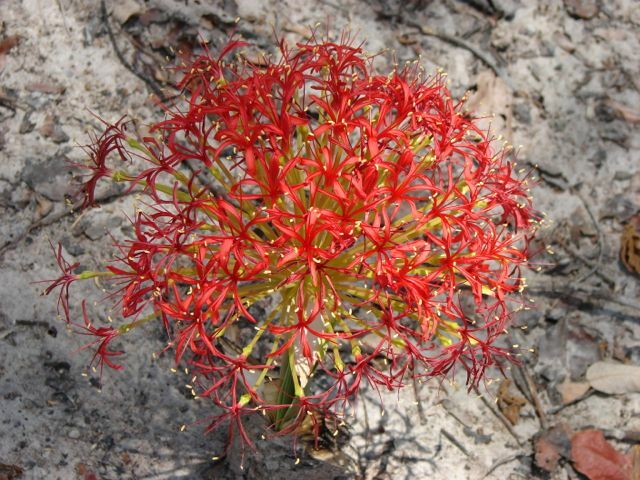 It is from a single spare population of SW Namibia, with scant rainfall in winter and extreme temperature variations typical of desert areas. Summers are very hot and dry. 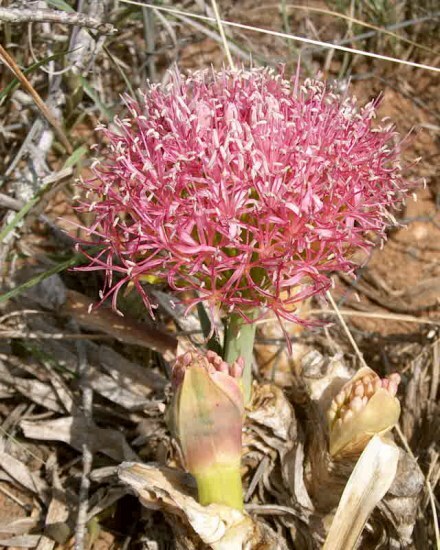 The bulbs produce flowers in late summer, and leaves in winter and spring. 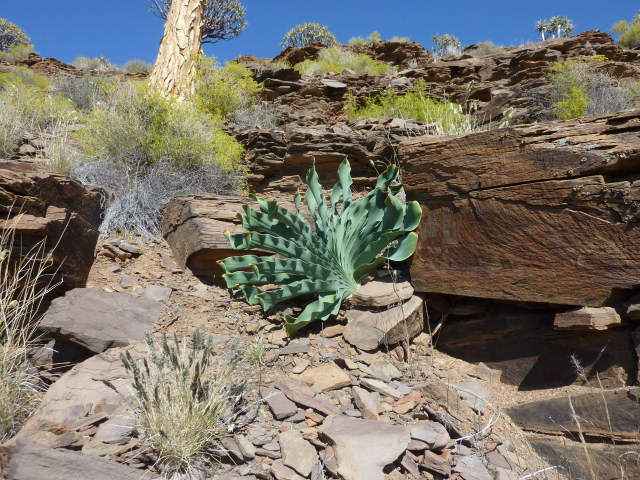 This population is in danger of extinction in habitat due to mining operations. Photo 1 by Angelo Porcelli and photo 2 by Nhu Nguyen. 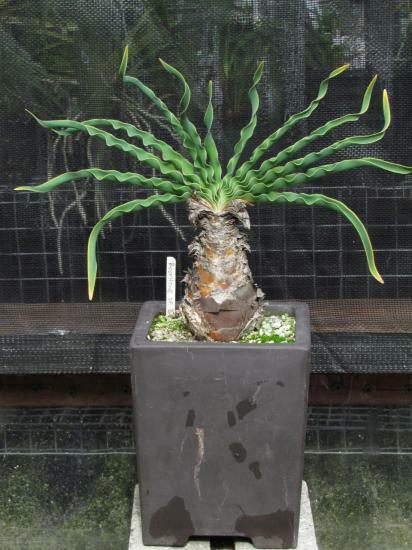 Boophone sp. Aus is from Aus, Namibia. This is a winter-rainfall species, but is small compared to a typical B. haemanthoides. 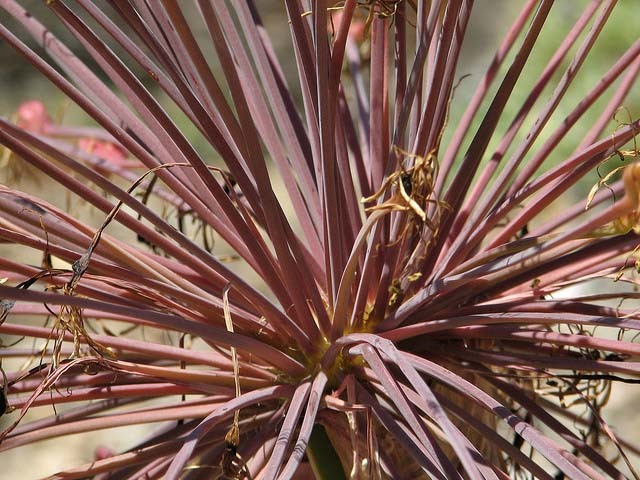 When going into dormancy, the leaves can sometimes turn into beautiful shades of yellows and red. 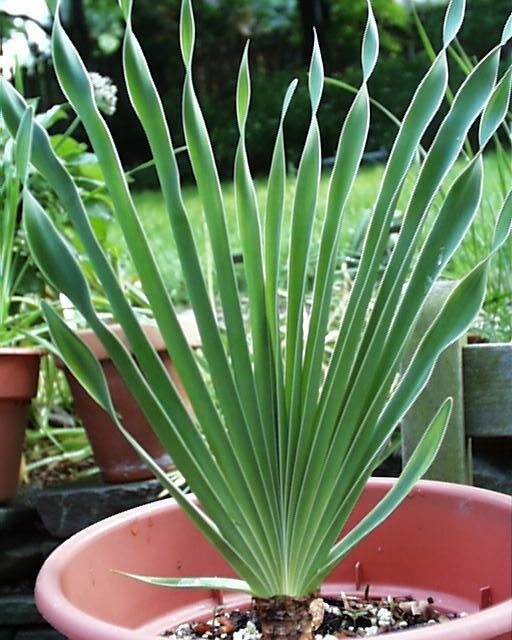 The leaves will be crispier when grown in fuller sun. 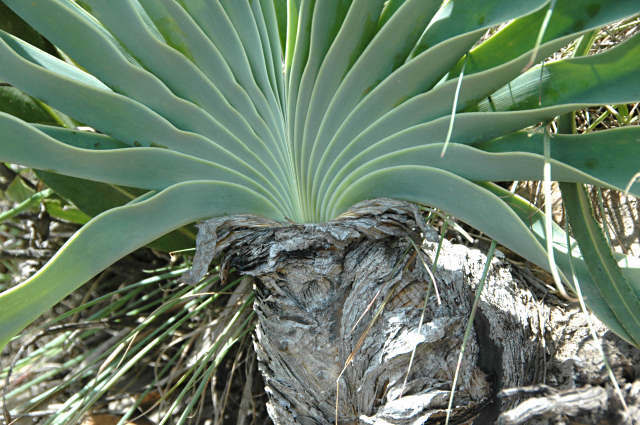 It is an attractive form all around. 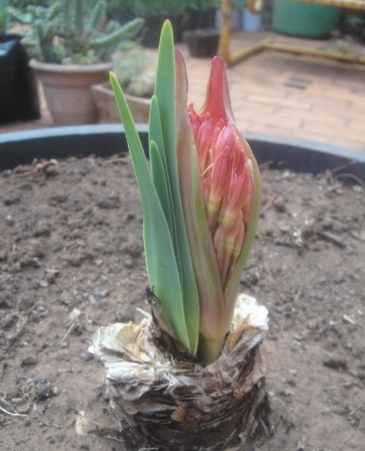 The photos below show the progression of this bulb in three years as it matured and then flowered for the first time. Photos by Nhu Nguyen.